Set in the picturesque rural landscape of Wainui 35km North of Auckland's CBD and situated just off the northern motorway exit (30 mins travel time) the studio is a massive 4,538sqm (48,846 sqft), situated on 3.78 ha of land consented for filming. This flexible space has an earth floor which was excavated 8m for the village set of "30 Days of Night"while for the movie "The Ferryman"a large pool was created for a sail boat, levels can be adjusted to meet production requirements. Ramp trolley access provides an excellent safe elevated vantage point down onto the ground floor. Lighting grids run along each side of the interior. There are also handy anchor points for sets and scaffolding to be secured. 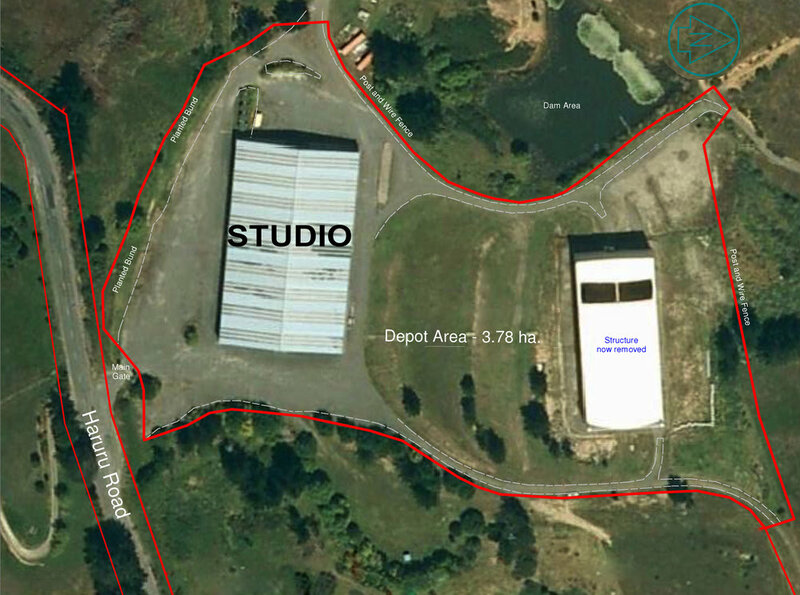 Kelly Park Film Studio 2017- Film Making Consented Area 3.78 ha.